A clump-forming summer annual with a seedhead that resembles a foxs tail. 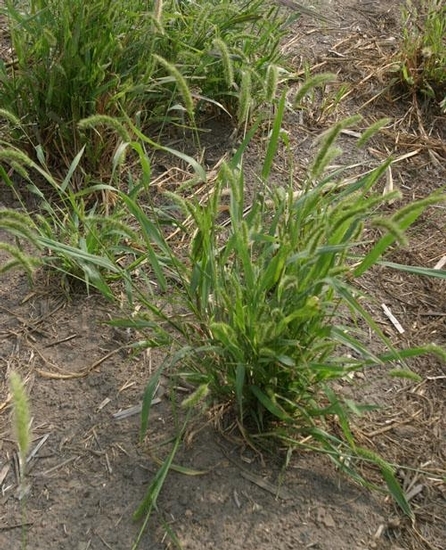 A weed of many agronomic crops, turf, landscapes, and nurseries. Found throughout the United States, especially on fertile soil. 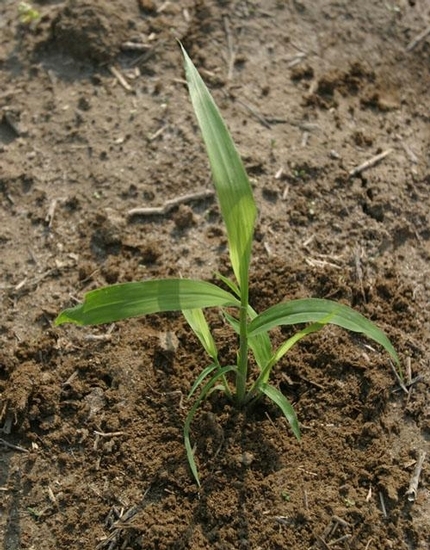 Leaves are rolled in the bud, leaf sheaths are mostly without hairs, but the leaf blades have many short hairs on the upper leaf surface and along the leaf margins. 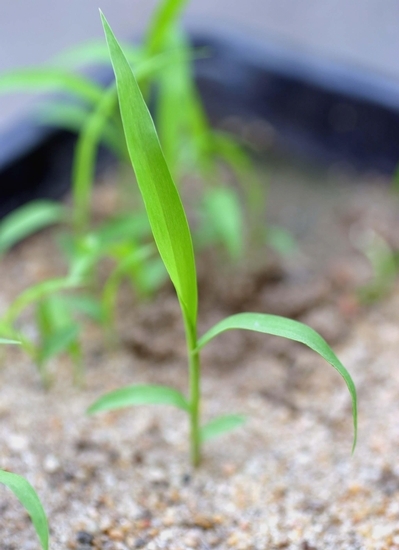 The ligule of the seedlings is a fringe of hairs approximately 1/2 mm long, often very difficult to see with the naked eye. 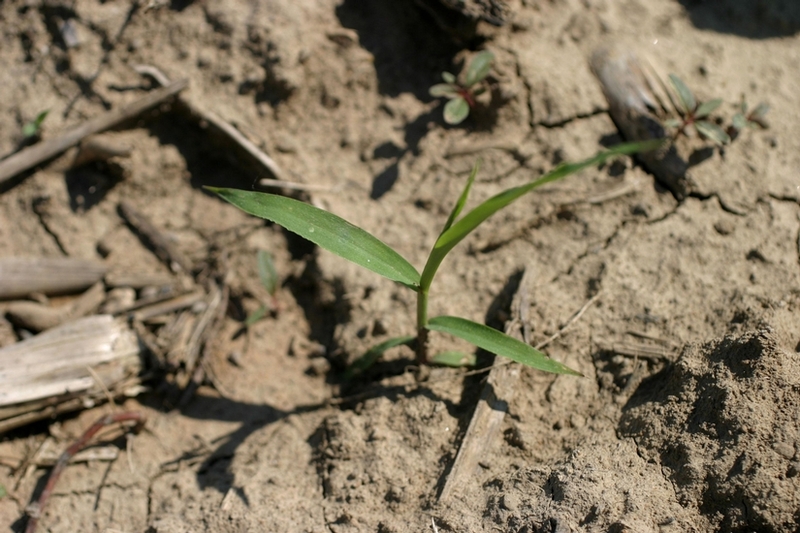 Leaf blades may reach 16 inches in length and 15 to 25 mm in width, and are generally covered with many small hairs on the upper leaf surface, except near the leaf base. 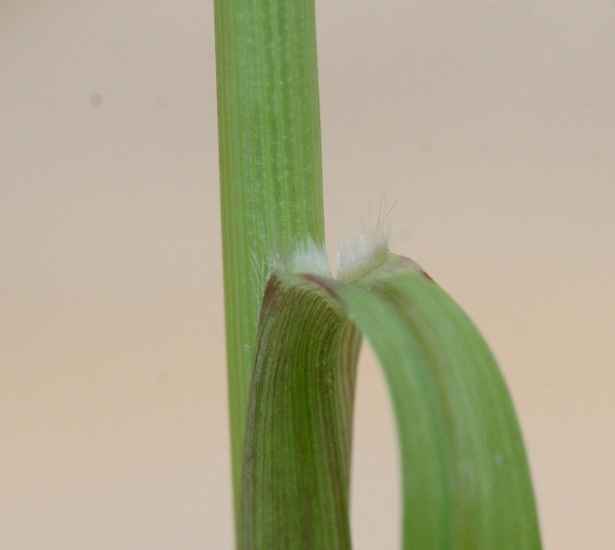 Auricles are absent and the ligule is a fringe of hairs reaching 3 mm in length. Erect, round, usually without hairs, reaching 3 to 4 feet in height. 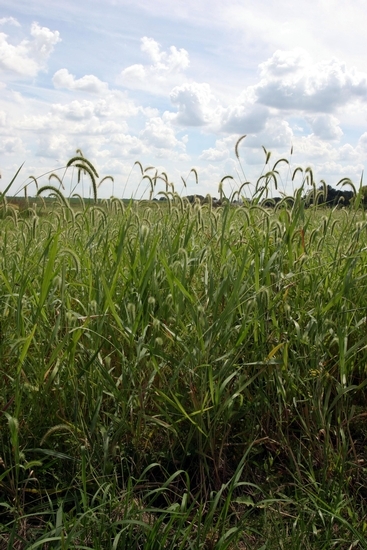 The seedhead is a cylindrical, bristly panicle that becomes drooping with maturity. 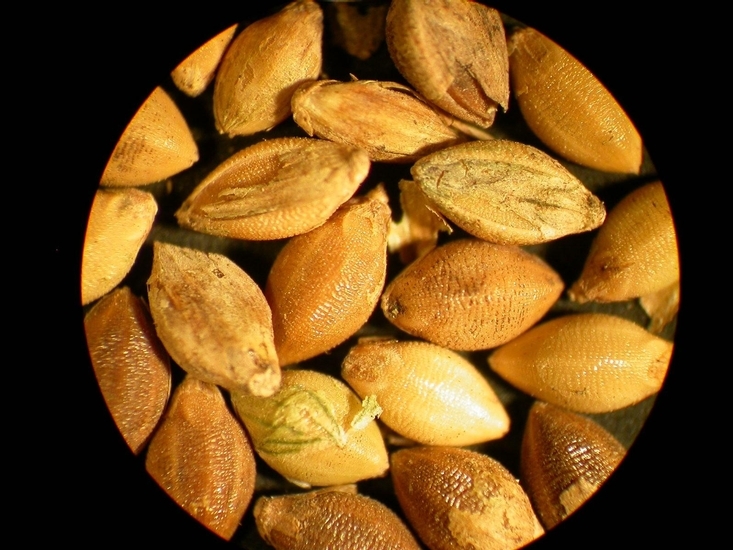 Spikelets are approximately 3 mm long, green, and each spikelet has 1-3 bristles that are 5-10 mm long. 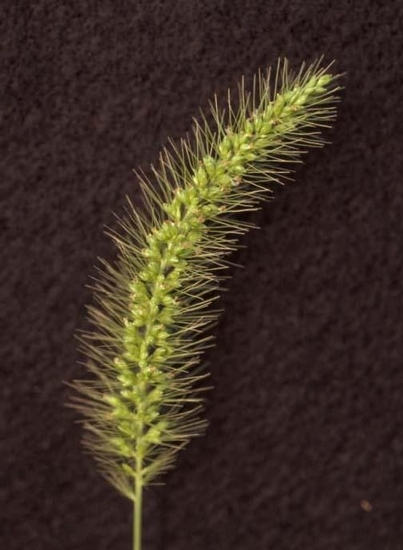 Characteristic foxtail-like seedhead that droops when mature and leaves with many hairs on the upper leaf surface, which helps to distinguish this weed from both Green Foxtail (Setaria viridis) and Yellow Foxtail (Setaria glauca). Giant foxtail may be identified by the presence of many short hairs on the upper surface of the leaf blades, unlike the other foxtails. 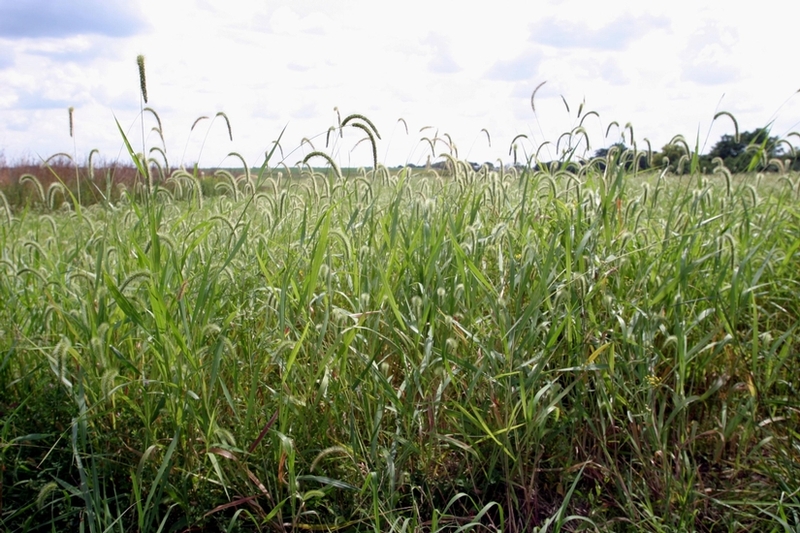 Additionally, giant foxtail is generally larger and has a nodding seedhead, unlike the other foxtails.